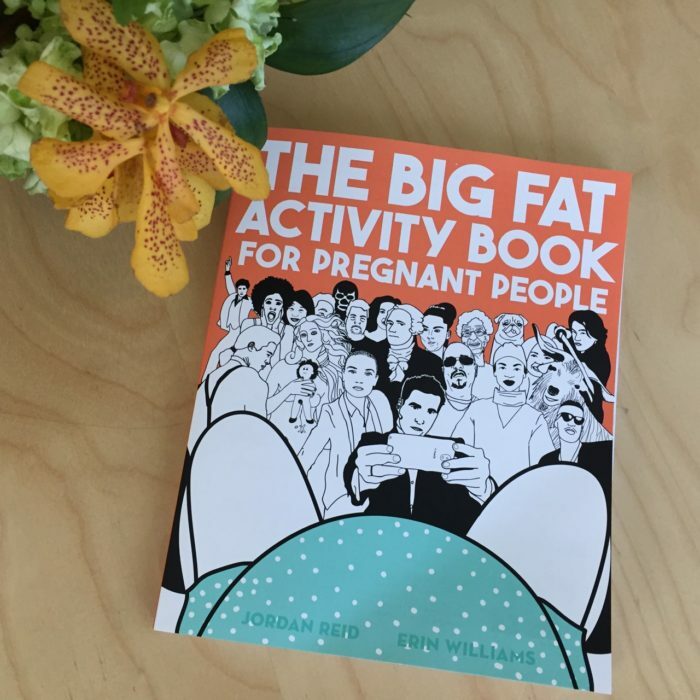 The fun folks over at Plume Books sent me a copy of The Big Fat Activity Book for Pregnant People and I laughed out loud as I turned the page. 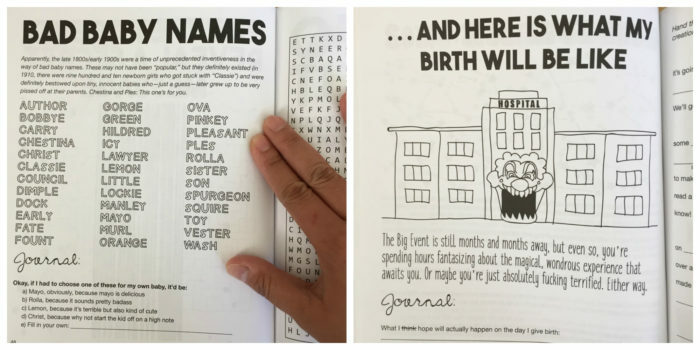 This book, nee guide, journal and activity book, chronicles the trimesters of pregnancy (and the fourth trimester) and encourages readers to both entertain themselves while reflecting on this incredibly meaningful experience in a woman’s life. 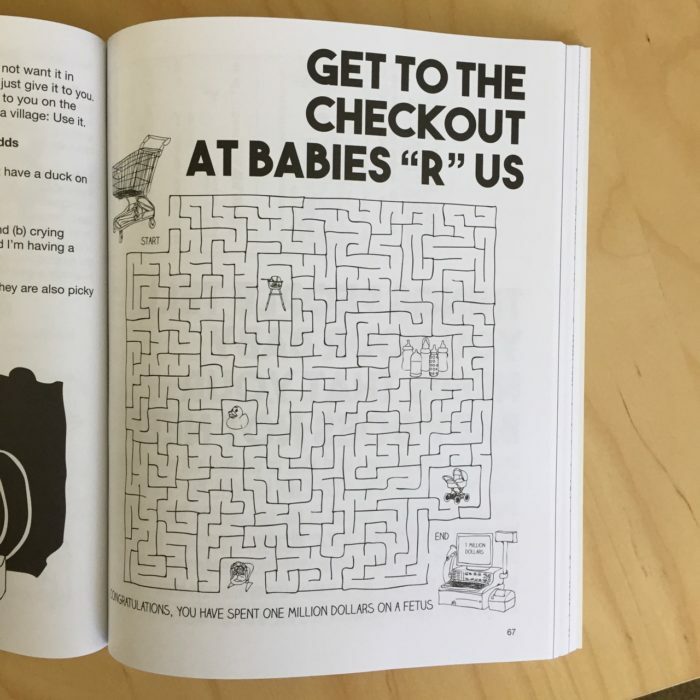 One of my favorites is the maze to get to checkout at Babies R Us. It’s funny because it’s true. No one gets out alive, especially non-pregnant people who are trying to buy you gifts. 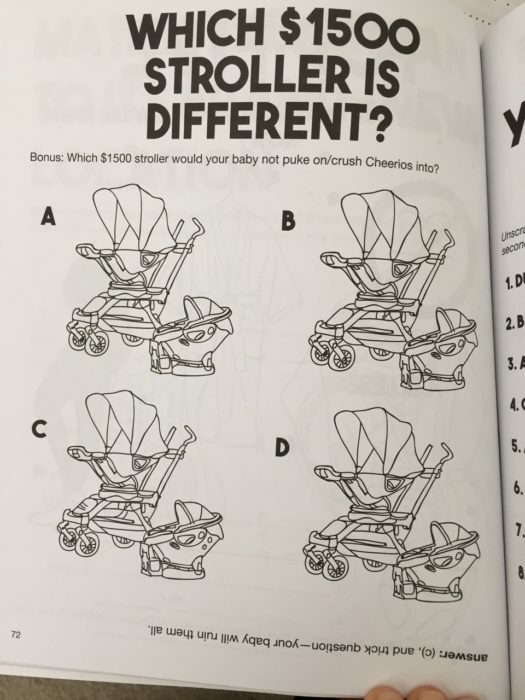 Then there’s the baby names issue. One of my best friends gave his parents a short list of names for them to pronounce. They have a slight accent, so their “r”s can sound like “l”s. Hehe. 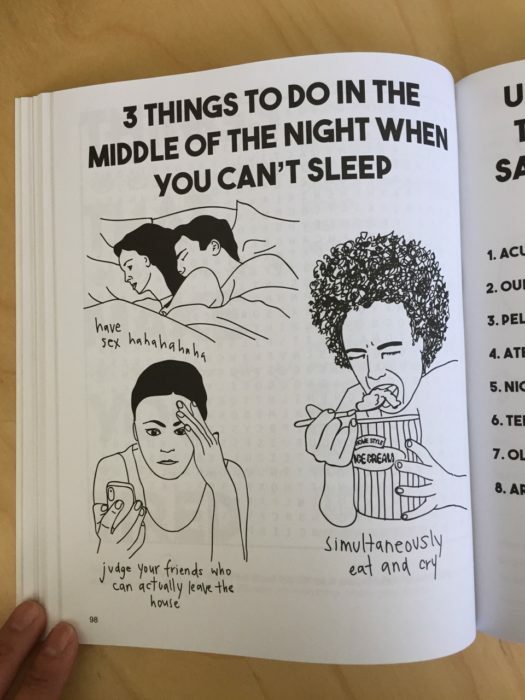 Perhaps I laughed the hardest at this page… maybe because it’s true…. Now, you may be wondering… do I need this book? I say yes. 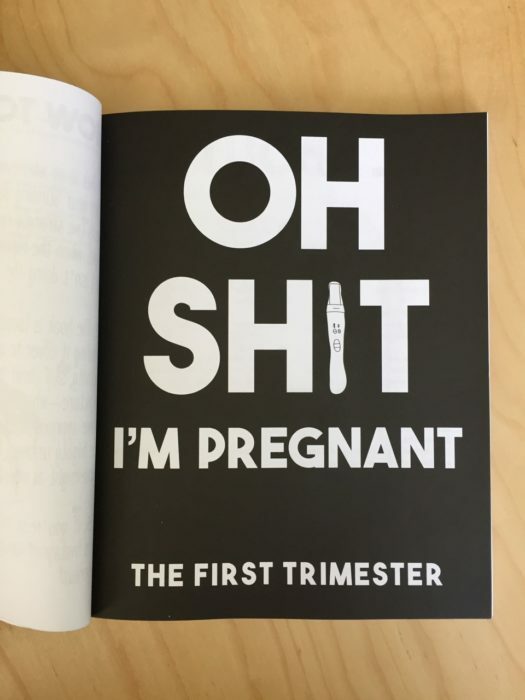 I think it would make a terrific gift for any parents-to-be. I can’t wait for the book to officially be released on April 25! 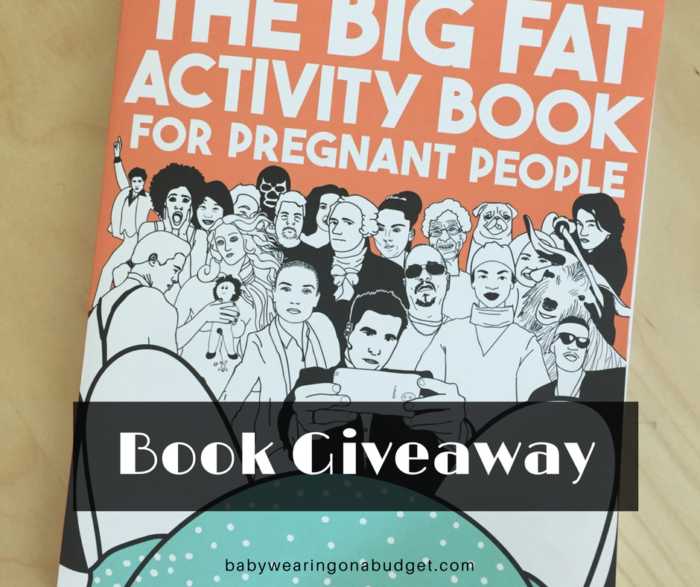 If you want to get your hands on a copy for yourself (or someone you know), enter for a chance to win!! One thing I wish I knew when I was pregnant… I’m pregnant with my second baby now and I wish I would’ve taken advantage of naps the first time around. It’s exhausting being pregnant with a toddler now!